This stainless steel medical Id alert tag can be engraved with medical and contact information in case of emergency. Can be turned it into a shoe tag by threading it on a shoelace. Shoe tags are not only comfortable and convenient, but also more difficult to lose or scratch, making them perfect for the active child or adult! If combining with a bracelet, please remember to add the length of the plaque (1 5/8 inch) to the length of the bracelet to achieve the total length desired. 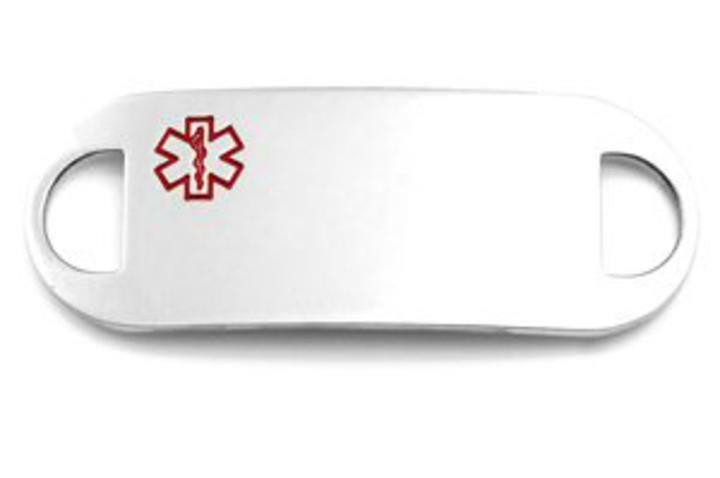 Perfect replacement tag or to add to an exsiting beaded medical or interchangable band.